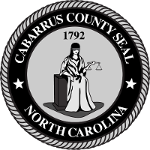 Cabarrus County is responsible for assessing, billing and collecting taxes on registered motor vehicles for months that were previously untaxed between the registration and renewal dates. This is known as gap billing. The N.C. General Assembly established the requirements and procedures to conduct gap billing in 2017. WHAT IS GAP BILLING OF PROPERTY TAXES FOR UNREGISTERED VEHICLES? Gap billing of property taxes occurs when there is a lapse in property tax billing for one or more months between the expiration of a vehicle’s registration and the renewal of that registration or the issuance of a new registration. During the "gap," the vehicle is unregistered. 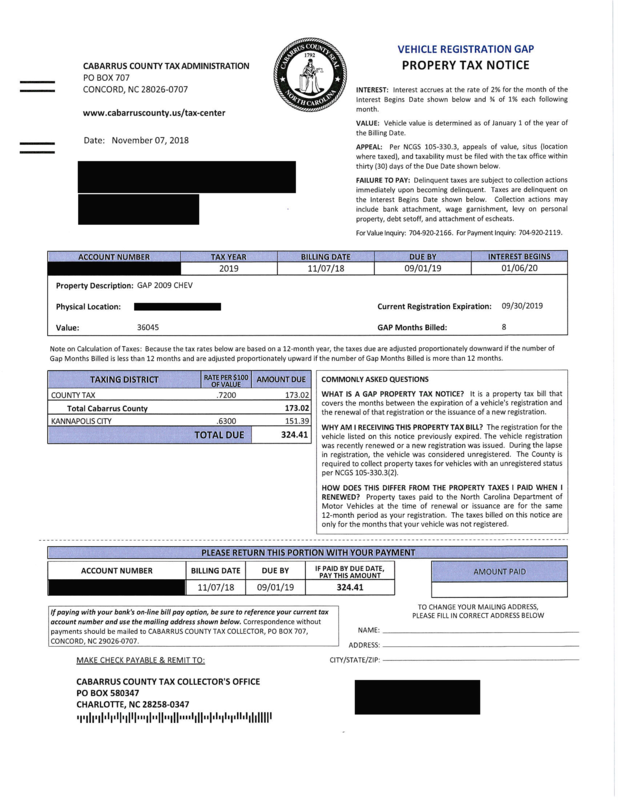 WHY DID I RECEIVE A GAP PROPERTY TAX NOTICE? DOES THE PROPERTY TAX I PAID WHEN I RENEWED MY REGISTRATION APPLY TO THE GAP BILLING PERIOD? HOW MANY MONTHS CAN A GAP PROPERTY TAX NOTICE COVER? Appeals of value, taxing location and/or taxability must be filed with the County Assessor’s Office within 30 days of the due date shown on the notice. The letter of appeal should detail your reason for appeal and include any documentation that will assist us in reviewing the account. The bill is due on the September 1st that follows the notice and is payable without interest through the following January 5th. HOW CAN I PAY THE GAP PROPERTY TAX? Paid in person at the Cabarrus County Government Center Tax Collections office at 65 Church St. SE, Concord. Payment is accepted Monday through Friday from 8 a.m. to 5 p.m.